Ownership / Access: Gladstone family. Fasque House Properties Ltd. Opening Times: Open to public. 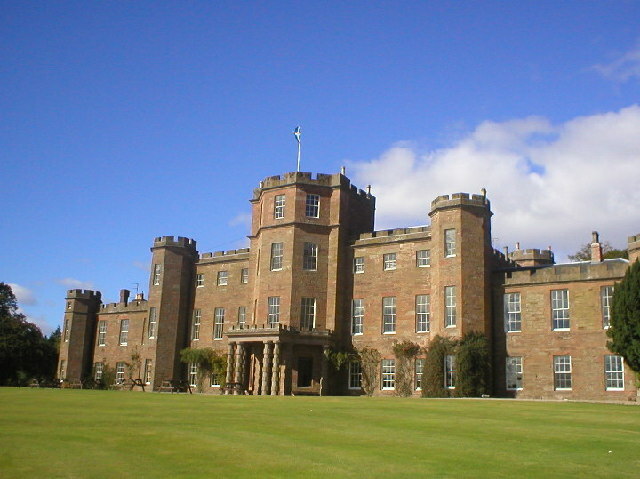 Notes: Fasque, also known as Fasque House, or Fasque Castle is a mansion in Aberdeenshire, Scotland, situated near the village of Fettercairn, in the former county of Kincardineshire. The property is an award-winning exclusive use property managed by Inverlochy Castle Management International, the same company that manages some of Scotland's best luxury hotels such as Cromlix in Perthshire, Greywalls Hotel & Chez Roux in East Lothian and Inverlochy Castle in Fort William. Fasque was the property of the Ramsays of Balmain, and the present house was completed around 1809, replacing an earlier house. It was purchased in 1829 by Sir John Gladstone, 1st Baronet, father of William Ewart Gladstone, Prime Minister to Queen Victoria, who spent much of his childhood here. Fasque was a family home of the Gladstones until the 1930s, and was open to the public during the last quarter of the 20th century. In 2010 Fasque House was bought by Fasque House Properties Ltd and restoration work was begun.The house is a large sandstone building, in a symmetrical castellated style, with octagonal towers at the centre and corners of the main facade. The structure remains relatively unchanged since its completion. Sir John Gladstone added a third storey to the central tower in 1830, and built the portico of rusticated pillars in the 1840s. The drawing room was expanded in 1905, and some servants' quarters were added before the beginning of the First World War. Innovative use of electricity meant that Fasque was possibly the first house in Scotland to be lit by electric lights, and had an electronic buzzer system as early as 1890. It was also noted for having innovative firefighting and health and safety equipment in the 1920s. The house is a category A listed building.